This fun book for children has been written by Donna Hunter and illustrated by Sandra M. Scott. 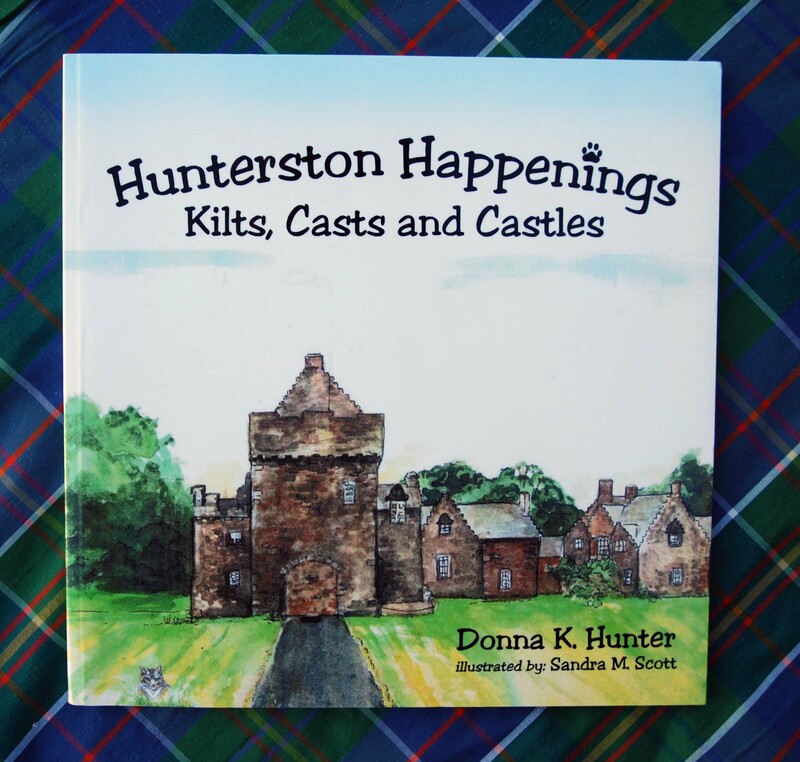 Donna has created a light-hearted children’s book which is entertaining and while including the history of Hunterston Castle in a very enjoyable way. The illustrations are delightful and really show the castle and surrounds in an interesting way enhancing the story. A lovely book to read to your children and grandchildren and introducing them to their Scottish heritage and history. 54 pages. Donna has created a light-hearted children’s book that will be enjoyed by all. It is a very entertaining history of Hunterston Castle with wonderful illustrations which are delightful, showing the castle and surrounds in an interesting way enhancing the story of the Castle. Jeffrey, Janet and Venator bringing Hunter history to you.